Wow, here we are on day seven! Over the last six days you have read about the basic tools that will help you keep momentum in staying connected to Jesus. So, don’t stop doing the essential things that you have learned so far. Welcome to your new life as a believer in Jesus! Come alongside us on this discipleship path to guide you toward God’s plan for your life as you become His committed disciple. Water baptism is a public demonstration and declaration of an individual’s faith in Jesus and his or her desire to follow Him. Baptism is the NEXT STEP in your walk with Jesus. For a better understanding about water baptism and to sign up, visit victoryatl.com/baptism. No matter who we are or where we are, we all need to move forward. Our Forward class will help you discover how God sees you, and will encourage you to reach the next level in your life and relationship with Him. Class takes place every Sunday at 9am at our Norcross and Hamilton Mill locations. Learn more at victoryatl.com/forward. Moving people from a believer in Jesus to a disciple of Jesus is at the heart of everything we do at Victory. You can purchase the book, 10: Qualities That Move You From a Believer to a Disciple, by our Senior Pastor, Dennis Rouse, at Victory’s bookstore or at Amazon.com. There is also a life-changing sermon series we highly recommend you watch at victoryatl.com/10Qualities. Membership is the starting point to understanding the values and vision of our church. We’ll share our story with you—why we do what we do and where we are going. Visit victoryatl.com/membership to register for our next class. We all need community. Small groups can help cultivate some of the most important friendships in your life. We have small groups located throughout the metro-Atlanta area. We also have “10” Discipleship Groups that will be ongoing throughout the year and will be filled solely with new believers and those new to Victory. These groups will meet both online and on campus. The topic of study will be the “10” book by our Pastor, Dennis Rouse, so that group members can keep the conversation going and learn more about the heart of Victory. Find a small group at victoryatl.com/smallgroups. We are following the example of Jesus when we serve. There are many opportunities to serve and use your God-given gifts and talents at Victory. Find opportunities and sign up at victoryatl.com/serve. Double down on your decision to come back to church again this weekend! Then browse through the above list, find the one that speaks to you the most (perhaps water baptism) and decide to take the next step in that area. As a new believer, what’s next? Being a Christian is bigger than praying and asking God into your heart. 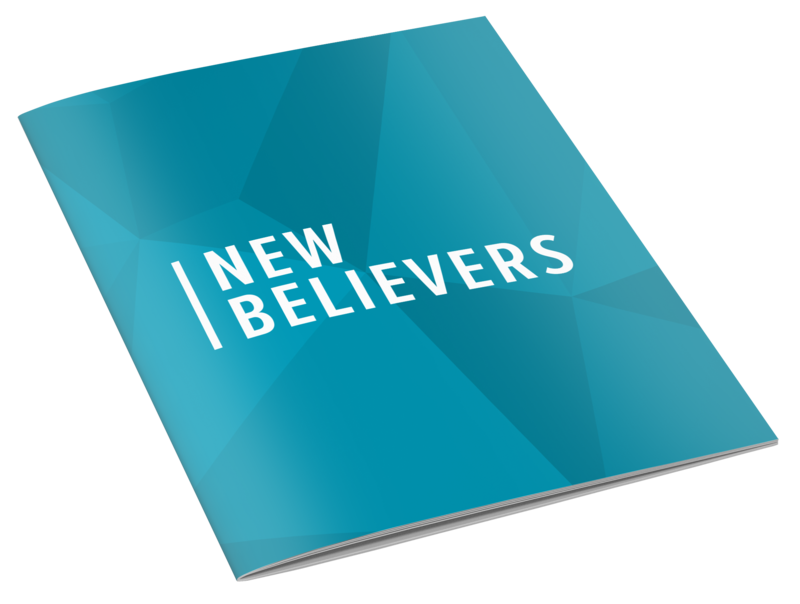 Discover what your next steps should be through seven days of encouragement in New Believers, a guide that will walk you through how to move from just believing in Jesus to becoming His disciple.